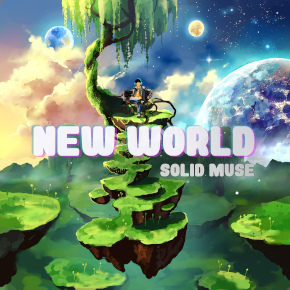 New World is Solid Muse's debut album featuring eleven fantastic original tracks written by artists from around the world from a variety of styles including electronic, rock, hip hop and more. "New World" is an open-ended theme we proposed to artists for the album. To us, it is an expression of today's exciting and ever evolving music scene encapsulating everything from the technology used to make music to the styles being created to the listeners around the globe. We are proud to have been able to work with such talented and diverse artists to make this album a reality. Album cover artwork by Chibionpu.